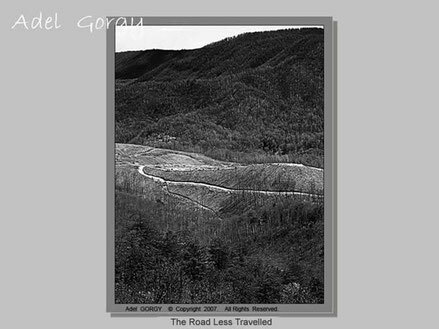 "HIKING WITH PETER" poem by Alex Drummond - "THE ROAD LESS TRAVELLED" fine art photo by Adel Gorgy - America - immaginepoesias JimdoPage! and east from the summit. steep off Sanitas a thousand feet below our feet. the rest of the world no longer knows.